Session Synopsis: In this timely session, top intellectual property attorneys will provide an update on patent law pertaining to personalized medicine issues. You will get a give a brief recap of 35 U.S.C. 101 case law developments followed by an update of the most recent guidance from the US Patent Office on Patent Subject Matter Eligibility. You’ll also receive a survey of international considerations and updates in this important area of patent law, highlighting practical implications of developing 101 case law. You will take away insights into how to adapt a patent strategy in light of these new developments. Dr. Polizzi is a Partner at Morrison & Foerster, where she helps emerging and established companies through the challenging process of obtaining patents, providing strategic, effective portfolio counseling and management. She develops valuable, strategic portfolios around breakthrough therapies in a variety of areas, including personalized medicine, cancer and cancer immunotherapy, autoimmune diseases, inflammatory diseases, infectious diseases, cardiovascular disease, metabolic disorders, and neurodegenerative diseases such as Alzheimer’s Diseases. 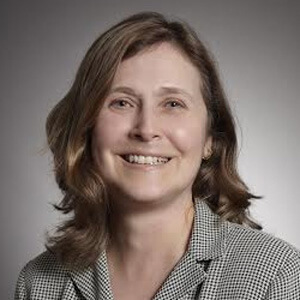 She also works with small and large molecule therapies, drug delivery and formulation technologies, cell-based therapies, tumor microenvironment, microfluids and genomic screening technologies. Her practice also includes due diligence evaluation and counseling in the context of venture investment assessments, as well as in connection with public and private financing, spin-offs, partnerships, and mergers and acquisitions. Dr. Polizzi is recognized as a leader in technology law and as one of the top intellectual property attorneys in California for eight years running. Dr. Shuster is a partner in Fenwick & West’s Intellectual Property Practice and is co-chair of the firm’s Life Sciences Group. Dr. Shuster has legal and technical experience representing companies in biotechnology and high technology areas that include protein and nucleic acid chemistry, clean tech, high resolution protein structures, proteomics, genomics, combinatorial peptide libraries, vaccine development for viral and autoimmune disorders, transdermal drug delivery systems, liposomal drug formulations as well as microfluidics devices.